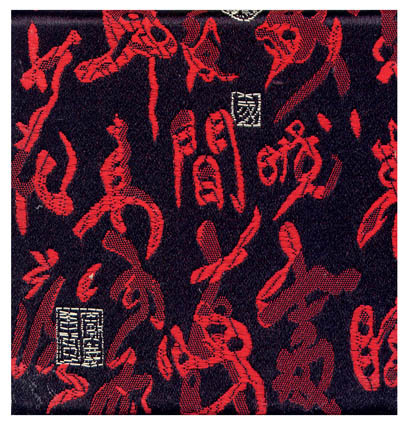 Size: 3.5" x 3" x 0.75"
This stylish journal comes covered in a Chinese calligraphy symbols silk pattern. Each journal is created using quality paper and contains unlined pages. Perfect for sketching or putting your thoughts down.